Fear holds us back from many of God's blessings in our lives. What if the only way we can follow the Lord's plan in our lives at this moment is to chase our biggest fears, to face our greatest life's failings? What does it mean not to play it safe, but be the person God has called us to be. We must chase the lions. 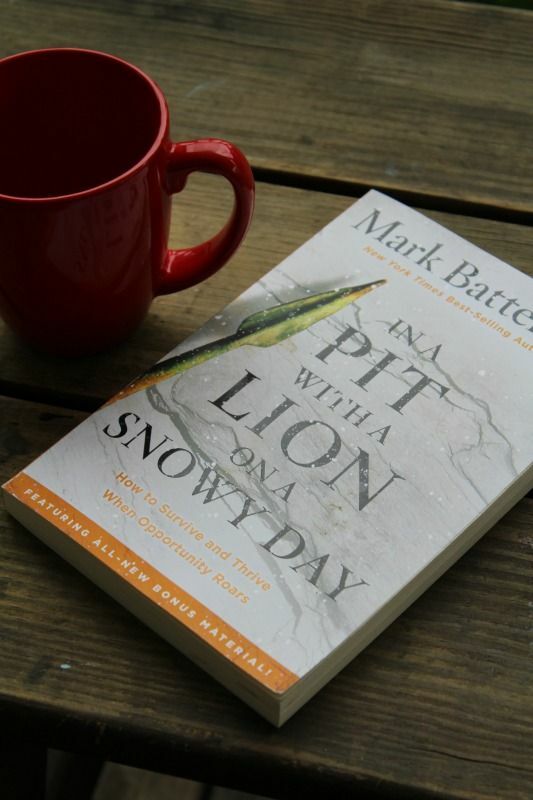 Mark Batterson challenges us in all these points in his book, In a Pit With a Lion On a Snowy Day. I love Mark Batterson after I read his book for young adults (All In) a few years ago. His writing style always makes my day, and I eagerly took this book into account. Let me just go ahead and be blunt-this book is one EVERYONE should read. I need to chase more lions. I need to get out there for Jesus, and In a Pit dares us to do just that. Through stories, awesome visual pictures, Bible verses, a bit of humor, and tales from his own life, Mr. Batterson hands us one inspiring book. I wanted to gobble it all up in one read, but at the same time savor it. 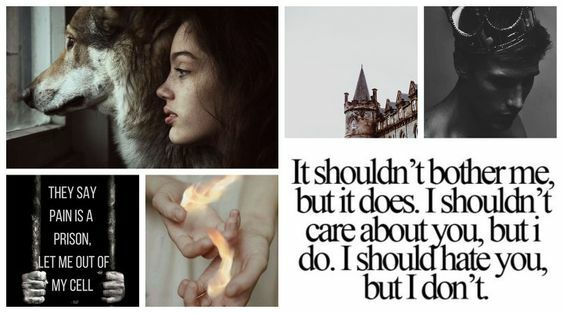 I read the book however in two weeks, mainly during the evening before bed and in my quiet time first thing in the morning, and I fell in love. I came to see how it can be so wrong to play it safe and how we must see everything, every moment, as a gift from our heavenly Father. Our biggest problems may just start looking like our greatest opportunities. I highly recommend this book to anyone (especially young adults seeking the Lord's will as they graduate High School). Be prepared to be dared and get ready to chase those lions. I got this book free from Blogging for Books in exchange for doing a review of my own personal opinions. Thanks for the review, Kara Lynn! I was considering getting this book from Blogging for Books as well, but I didn't know anything about it until now. I appreciate the review! Anyway, thanks for commenting Emily. I always love getting the chance to chat with you.